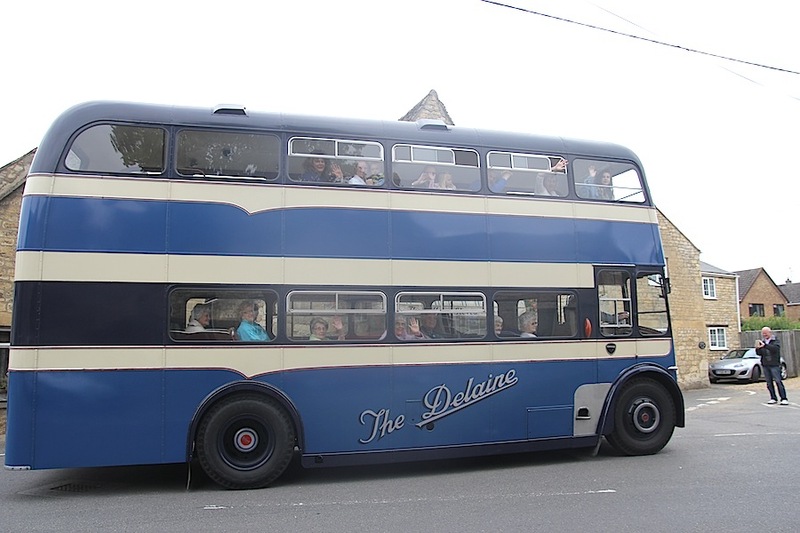 Villagers took a journey back in time when a historic 1950s double-decker bus returned to Ryhall. 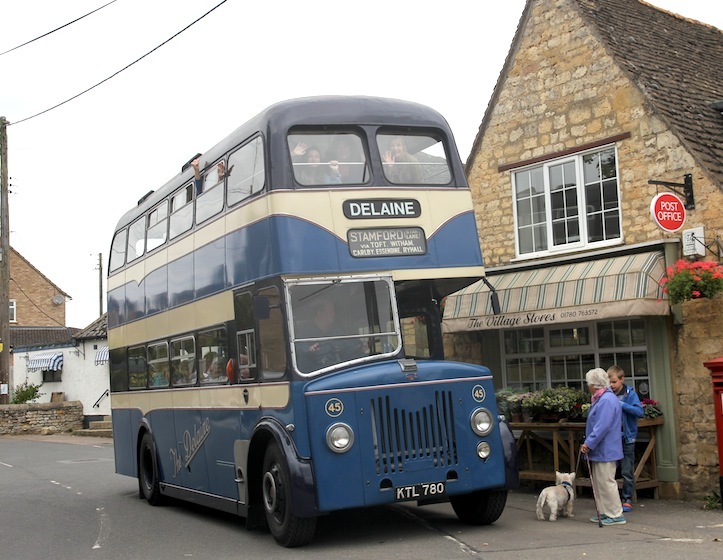 The last occasion the blue Delaine vehicle had visited the village was in the late 1970s on a passenger run between Bourne and Stamford. This time it was a special trip to be photographed in The Square for Ryhall Village Hall’s 2016 calendar and while the sun remained resolutely behind the clouds the village square glowed with enthusiasm. 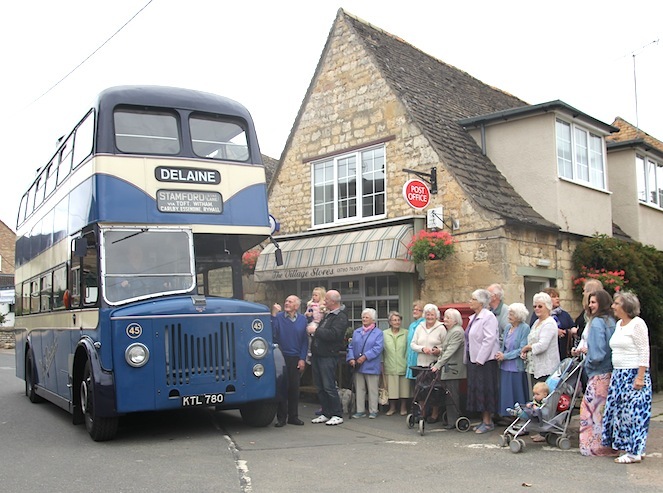 Villagers of all ages queued to get on the 1956 Leyland Titan after driver Kevin Delaine-Smith brought it over from the Delaine bus depot in Bourne. The idea to have the bus came from Graham Campion (second from left) who though living in Market Harborough has long been a supporter of activities in Ryhall. 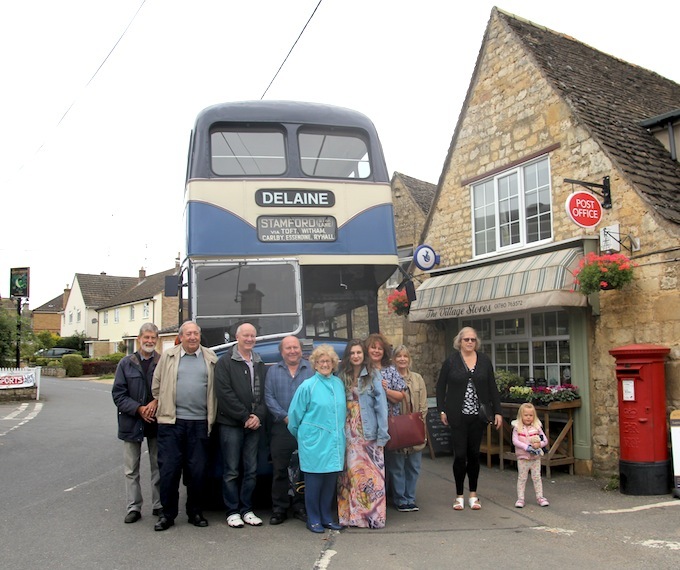 He thought it would be novel for the 63-seater to retrace its steps and parish councillor Stella Smith (fourth from right) followed through by arranging contacts with the bus company. The 2016 calendar from Ryhall Village Hall is on sale priced £5 and available from The Village Stores, Ryhall, or any committee member. For further details contact Anne on 01780 754621.